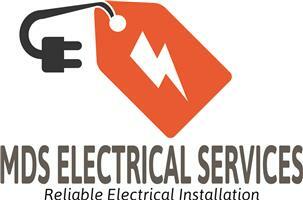 MDS Electrical Services - Electrician based in Uxbridge, Middlesex. MDS Electrical Services are a team of qualified NICEIC Registered Domestic and Commercial Electricians serving the needs of North West London. We carry out all types of domestic & commercial electrical work from a new plug socket, Landlord Periodic Test Inspections to complete rewiring of your property. As qualified NICEIC Electrical Contractors we work on both existing and new electrical installations for both domestic and commercial properties. We can provide an NICEIC certificate on completion. All our services are to British Standard Electrical BS 7671 (IEE) standards to meet safety regulations and we will provide you with all the relevant certifications that you may need. For businesses, this ensures that you are kept compliant with all health & safety regulations, and at home it gives you the peace of mind you need. We also offer a personal guarantee for all jobs that we undertake. We have been offering an unmatched 24/7 Emergency Electrician Response service across the North West London area. If you need an electrician right away, give us a call on 07725 444710 now and one of our experienced electricians will book an appointment usually on the same day to fix your problem.